Passengers should get compensation for airline IT failures. 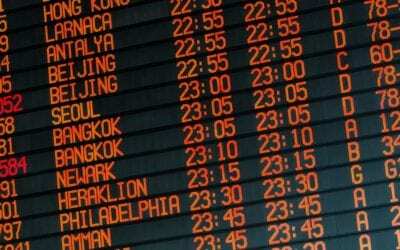 All airlines are having problems with their Information Technology (IT) systems. In the last six months, American, Delta, Southwest, and United have all faced airline IT failures. Even Congress has chimed in on this issue, mandating in the last FAA bill that DOT write rules to require airline responsibility for their IT failures. Airline IT failures are happening with increasing frequency and to a greater technical extent. The airline systems are complex and cobbled together from bits and pieces of different airlines as mergers over recent years have reduced airline competition. Recent problems have had global ramifications. Travelers realize that IT issues will be a problem. However, Travelers United holds that these IT problems are the fault of the airlines and passengers should be properly compensated for IT failures. So far, when it comes to customer service, the legacy carriers are treating these IT issues as acts of God or force majure problems. They are not. These are failures to deliver scheduled service that are fully within the control of the airlines. Passengers should be compensated, not punished, for the airlines’ failures. Without stiff penalties, airlines can choose to allow their IT systems to be hobbled as they hoard soaring profits. Airlines and regulators should realize that these IT-failure cancellations and delays are the fault of the airlines alone. These are far more egregious harms than delayed checked-baggage. They are more along the lines of involuntarily denied boarding compensation but without any backup flights. Passengers should not be punished for airline IT failures. 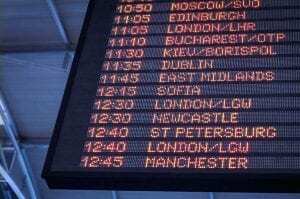 Airline passengers are bearing the burden of the airline IT and communications failures together with the delays and cancellations of thousands of flights. Families have missed weddings, organized tours, and cruises. Business travelers have missed meetings. And, many others have been faced with financial repercussions because of information technology failure. The customer service offered by airlines has been poor. These events are not a cancellation of choice by passengers, nor are they an “Act of God.” This is a failure by the airlines and their contractors. Passengers are being asked to bear the burden of these airline failures. Consumer rights and compensation, included in your contracts of carriage, European Union rules and the Montreal Convention have not been explained clearly to passengers. Travelers are left to fend for themselves and are not offered overnight accommodations, alternative flights, and meals. Plus, additional telephone support staff is needed immediately to prevent two-plus-hour wait times. The deliberate elimination of interline agreements between many major airlines and airline alliance rules have limited airlines’ ability to respond to IT catastrophes. 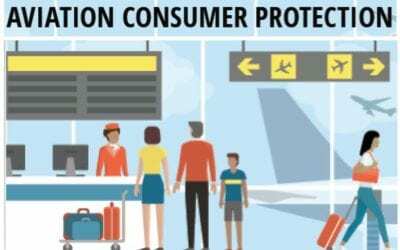 After repeated airline IT failures, Travelers United called on the airlines to make their passengers whole and to tell passengers about their rights under international treaties and European Union rules for international flights. These issues need reimbursement or compensation from airlines to passengers. The airlines are treating these incidents like acts of God. They are not. The airlines are in full control and should be accountable. Passengers affected by these airline information technology failures should contact www.airhelp.com to check on international compensation that they may be due from the airlines (especially international carriers) for their failures. This compensation can range from about $660 to more than $7,000. It is worth checking. Travelers United is already working with Congress to institute compensation for delays and cancellations caused by airline IT failures. 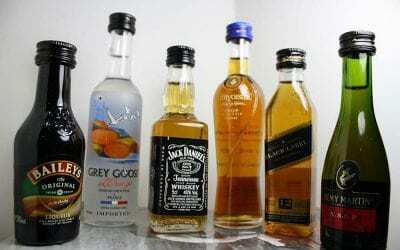 These can be added to the small number of instances where airline passengers can claim compensation from airlines. Join us as we work to hold airlines accountable for their IT failures rather than saddling passengers with their losses from unattended family events, ruined vacations, lost reservations, missed business meetings, and unexpected overnights while awaiting the airline IT systems to be brought back online.